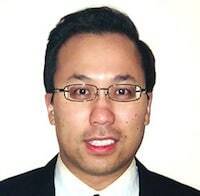 Jeff Wong joined the firm as an associate in 2017. He is a graduate of the University of California, Irvine and holds a Bachelor’s Degree in Computer Science. In 2008, Mr. Wong attended Whittier Law School where he gained legal experience interning for the Orange County District Attorney’s Office and the Honorable Judge Roy Paul. In 2011, Jeff earned his Juris Doctorate from Whittier Law School and thereafter in 2012 gained admittance to the State Bar of California, California Court of Appeals, and Central District of California. Prior to joining the firm, Mr. Wong worked with other attorneys on employment law matters including wage and hour and unemployment insurance benefits. In addition, in 2017 Jeff earned his certificate in Conflict Resolution and Mediation from the Asian Pacific American Dispute Resolution Center. After joining the Law Office of Joseph E. Richards, Mr. Wong now wishes to use his skill and knowledge to aid those suffering from personal injuries.